The decisions you make when you are starting or furthering your nursing career can be heavily influenced by how much you earn. Figuring out how much you can make as a nurse is important for planning your education, as well as deciding in which state you will practice. Because searching for nurse salaries by state can get tedious very quickly, we’ve created a list with all the relevant information about the average nurse salary per state, for you to access in one place. 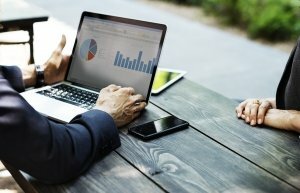 In this article, you will find information about the average nursing pay scale, how much you can make per month and per hour as a nurse, the salary differences between registered nurses and RN’s with Bachelor of Science in Nursing, as well as a list of the Registered Nurse salaries for all states in the US. Whether you want to enroll in a BDN program to start your nursing career or you want to advance in your career by enlisting in a bridge RN-to-BSN program, you have to be very considerate when selecting the nursing school you will apply to. This choice may prove difficult for those who are at the starting point of their nursing journey – fresh high school graduates or people who are looking to make a career change. But even if you are a practicing RN who wants to return to school and increase your career advancement chances by getting a BSN degree, you may still encounter some difficulties while looking for colleges. Because we know how intimidating the process of selecting a nursing university can be, we wrote this article to help you know what to look for when choosing your nursing school. Choosing a nursing university to apply to is the first and most important aspect of getting a BSN degree. This decision should not be taken lightly because poor nursing education could impact your whole career in the long term. The main characteristics of the university you choose should be the quality of the programs it offers and the ability of the academic staff to provide learners with curriculum that will advance their knowledge. Additionally, the education that the nursing institution provides should be in line with the learner’s nursing career goals. 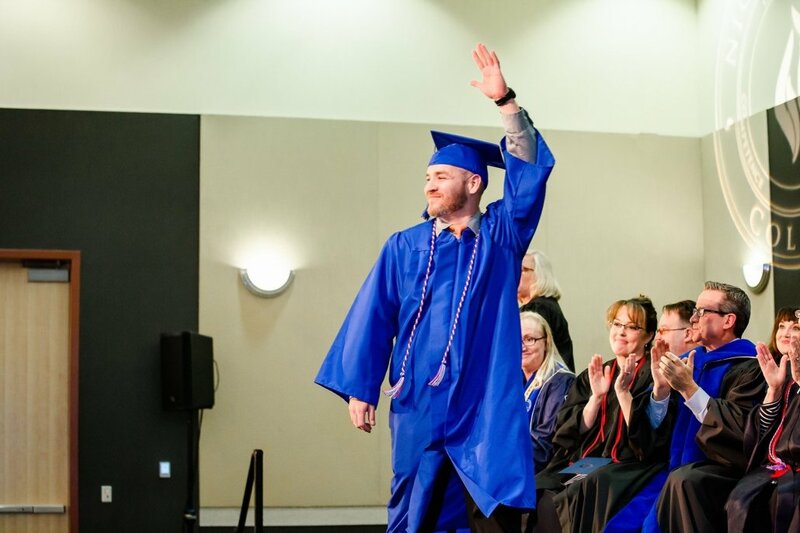 For nurses exploring advancement programs, Nightingale College’s RN-to-BSN Program curriculum is specially designed to promote career mobility in nursing, so each graduate will be able to meet the demands for professional nurses. Accreditation is a quality assurance process in which the services of a higher learning institution are evaluated by an external body. The two national institutions that accredit nursing education programs in the US are the Commission on Collegiate Nursing Education (CCNE) and the Accreditation Commission for Education in Nursing (ACEN). Accreditation is one of the best indicators of a school’s reputation or lack thereof. Moreover, if a nursing school has accreditation it means that it has to comply with the accreditor’s standards each year, in order to maintain the accreditation. Nightingale College is nationally accredited by the Accrediting Bureau of Health Schools (ABHES), which is recognized by the U.S. Department of Education as a private, non-profit, independent accrediting agency. Also, the BSN Program at Nightingale College meets the requirements of the Commission on Collegiate Nursing Education (CCNE). Proximity: Study at a Local or National College? The proximity of the nursing college you choose to attend should also weigh in on your decision making. However, whether the college is local or national shouldn’t be a decisive factor. What matters most is the quality of the programs it offers. Even if national colleges are better known, they can be more disadvantageous in terms of location and accessibility. For most RNs, commuting to an university is a hassle because they have a busy lifestyle. They work full time as registered nurses and most of them have family duties as well. This is why they may prefer attending a local college or a college that offers online nursing programs. If this is the case for you, make sure you check as many universities as possible and select the one with programs that best suits your needs. However, there is a middle ground. Many nursing schools offer online BSN programs, which can solve the commuting to classes issue. Nightingale College offers its learners an accredited RN-to-BSN Program, with a fully online didactic instruction that will provide learners with skills in key areas such as d critical care, gerontology and disease prevention. Also, the College offers a pre-licensure BDN Program for those looking to start out in a career in nursing but haven’t had any nursing education. Nursing is a hands-on occupation so, besides a solid knowledge foundation, it requires experiential learning and interaction with patients. Since it is usually the first step towards becoming a nurse, each BDN program must have an experiential learning component. Which is why you must be very wary of fully online programs because they cannot offer you the whole learning experience. The BDN Program at Nightingale College has an integrated experiential learning component and each BDN learner has the opportunity to complete all their experiential learning activities in a Dedicated Distance Cohort (DDC) Area. When it comes to bridge programs such as RN-to-BSN, the situation is a bit different, because learners are practicing RNs who already have a hands-on experience. The RN-to-BSN Program at Nightingale doesn’t have experiential contact hours assigned, however, learners will be required to complete community and employer-based learning projects. This way the College is encouraging its learners to fulfill a leadership role and work alongside their employer to find solutions to facility-wide problems. Does the Reputation of the Nursing School You Attend Matter? The nursing school you attend can be a factor that impacts your career track. This decision should be an informed one nonetheless, not only for the sake of employment but also for the type of nurse you want to be. The education you receive in nursing school will be the foundation of your career – if the foundation is poorly built, the whole thing could collapse. Try to avoid small schools that pop up overnight. Their main goal is attracting learners for the sake of profit. These kinds of universities see learners as money pots and don’t care as much about their achievements or future careers. Choose a well-established, accredited institution. They usually comply with high standards and will be able to prepare you for advanced nursing practice. This could prove tricky because even though an institution is well-regarded, it doesn’t necessarily mean that all its programs are quality. Look into all the curriculums. It is important to see what didactic courses and what experiential learning options the school offers. Pay attention to the prerequisites for each course because they can be an indicator of course quality and difficulty. Prerequisites ensure that all participants understand the basic concepts they have to work with during class. Read more on how RN-to-BSNs with no prerequisites can hurt your nursing career! Check the statistics report for each school. The two most important success rates are the NCLEX-RN® pass rate and the employment rate. These will show you how many of the school’s graduates passed the national licensure exam and how many of them got employed after graduation. Nightingale College has a 78.95% NCLEX-RN® Overall Pass Rate and a 73.99% Employment Rate for the years 2017 and 2018. Read alumni opinions or reviews. People that graduated from a certain school can provide you with valuable insights. Check the job placement programs they have for graduates. Some nursing schools help their new graduates enter the labor market through specially designed job placement programs. Schedule time to meet with the school’s career services department to learn about the options available to graduates. Think of the next steps you want to take in your career. Consider if choosing a certain university can affect your career path in one way or another. Do Hospitals Care Where Nurses Get Their BSN Degrees from? The main aspect that employers care about is whether the nursing school you went to is accredited or not. There are some hospitals that might indeed have some preferences in regards to where their nurses got their degrees from. These kinds of health care facilities typically have a few universities that they trust to provide them with nurses with high-quality skills. Other than that, hospitals seem to be more interested in the type of degree you earned, rather than the college you got it from. Because patient care standards are increasing, the demand for qualified medical personnel is higher than ever. The BSN in 10 law requires that by 2020, 80% of registered nurses nationwide have a BSN degree. Hospitals that want to acquire Magnet status require better prepared medical staff to ensure quality and safety standards. One of the key requirements for achieving this status is the high education level (BSN degree level) of the nursing personnel. Because of this law, the demands for hiring nurses have increased, and hospitals are taking into account their skills and as well as their training, with much emphasis on BSN degrees. Earning a BSN is an excellent way for nurses to broaden their career options. Whatever nursing university you decide to opt for, keep in mind that by becoming an alumnus there you are investing them with the power to shape your skills as a future nurse. Do not take this decision lightly as your education as a nurse is the foundation on which you will build your whole career. Do your research thoroughly and make sure you make an informed decision. Find out more about our accredited BDN and RN-to-BSN Programs and enroll in our College! Most professions require constant learning for people to advance in their careers, and nursing is no exception. It is safe to say that while nursing schools prepare students for real world situations, they do not teach everything. In this day and age, the medical and healthcare industries are constantly evolving due to technology and research. quality of care and patient outcomes, which could lead to career advancement. Have a look at some of the essential nursing skills you can learn online below. Nurses who aspire to be leaders someday should be able to communicate effectively. As a nurse, it is the nature of your job to interact with different kinds of people, from your patients and their families to other healthcare professionals. It’s important then to identify various communication strategies that will improve your quality of care. There are various online learning resources nurses can access to hone their communication skills. Some courses are short, free, and efficient, which may be most convenient for nurses with busy schedules. 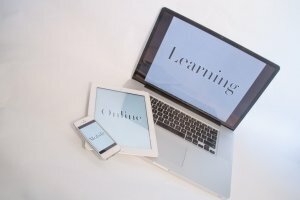 For example, EdX.org has several free communication courses that nurses can learn from, such as Communicating Effectively: How to Inspire and Convince and Communication Skills for Bridging Divides. Although these courses are aimed at professionals in general, nurses can still apply these lessons to everyday scenarios. Many nursing errors are caused by a lack of critical thinking. This refers to the ability to identify a problem and determine the best or most effective solution. It is a skill that is important in times of emergencies, which healthcare personnel often face. Malaysian researchers recently found a link between nurses’ critical thinking skills and decision-making, which proves that critical thinking does influence patient outcomes. Therefore, continuously developing this skill falls under a nurse’s duty to provide quality care. Fortunately, it is a transferable skill that can be taught through effective mentorship and peer-to-peer support. Many online portals offer this subject as well, whether it is through online CE programs or medical forums. Nurses can also opt to review case studies online and put their thinking skills to the test. Nurse.com’s Improved Critical Thinking and Clinical Reasoning course is one example. The program lets nurses review results from key studies and examine strategies enumerated in the course. This online course is accredited and provides continuing education for the healthcare team. The nursing field offers a wide range of careers. There are various paths licensed nurses can take, whether they are just starting their practice or are in the middle of their nursing career. Registered nurses (RNs) having first finished Associate Degree in Nursing (ADN) programs or nursing diplomas at community college usually look to earn their Bachelor of Science in Nursing degree (BSN) when they are ready to take on greater responsibilities and broader roles in healthcare. There are many career options you can consider once you have your BSN, as was noted previously on Nightingale College’s Alternative Nursing Careers Beyond Bedside Care blog post. Moreover, thanks to modern technology, nurses can now obtain their BSN degrees through more convenient means. Virtual learning environments may prove to be a more flexible and convenient option for registered nurses, as they can study for a degree and practice their profession at the same time. They can also earn their BSNs much faster than conventional methods, since RN to BSN programs usually last for just three semesters. If you are looking to hone certain skills that may be useful to your services, or study to advance your nursing career, rest assured there are online courses that can suit your needs. A Bachelor of Science in Nursing degree (BSN) is a gateway into a professional registered nurse (or RN) career and a great solution to take the next step in your career if you are an RN without a BSN degree. Although some of you already work as RNs without having this degree, deciding to get it would lead to more career opportunities and higher pay. Moreover, according to RN.com, The American Association of Colleges of Nursing predict that, in the near future, hospitals hoping to earn Magnet status will need to increase their BSN workforce to 80%. 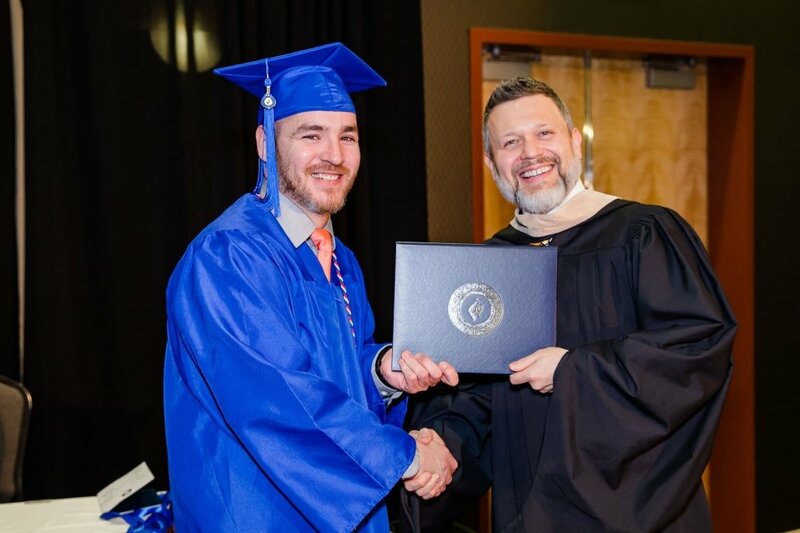 So if you’d like to start preparing for the next phase of your BSN-prepared career, this guide covers all the steps you need to know about the application and enrollment process, and how to get the esteemed BSN degree. Should a highly-experienced nurse return to school for a BSN? You’ve been out of school for 20 years. You’re older than most other RNs, more experienced, and you love your job. Should you go back for a BSN? Is it even worth it at this point? What more is there to learn? Many experienced RNs are feeling pressure from their employers to return for their BSN, even though the employer has no complaints about their job performance. This can be frustrating for RNs who want to continue working and don’t want to have to deal with the hassle of going back to school. Let us ease your mind. Are you a registered nurse who wants to get better and advance your career? As nursing is a competitive field, basic certifications alone don’t really elevate your professional profile anymore. If you’ve already mastered your domain, moving forward in your nursing journey is the natural next step and a way to improve your daily processes. To move up the career ladder, look to further your training and enhance your critical reasoning skills. Education is key, and you should consider it alongside practical experience and networking. There are various ways to achieve that promotion or advance your already acquired nursing skills, and we’re going to lay some of the paths you can follow. What do you learn in an RN-to-BSN Program? So you have your Associate Degree in Nursing. What next? Maybe you’re feeling content as a registered nurse, or maybe you want to strive for something better. Either way, hopefully this information will help you be a little more informed about what Nightingale’s RN-to-BSN Program has to offer. The program is designed to build upon the things you learned in your associates to give you a broader, more well-rounded sense of nursing. Not only will you go deeper into concepts you have learned previously, like disease prevention and health promotion, the RN-to-BSN Program at Nightingale will teach you things you haven’t delved into quite yet, like psychiatrics and gerontology. As a nurse, continuous education is part of the profession because the health care field is constantly evolving with new and improved means of patient care. Advanced degrees and specialized certifications are sometimes necessary to get you to the nursing level you want to be at and, not to mention, make you more attractive to your current and future employers. So let’s talk about what will you learn in an RN-to-BSN program. Part of Nightingale’s RN-to-BSN Program includes general education courses: English, math, anthropology, psychology, sociology, and others. Nightingale accepts transfer credit from other schools if the classes fit the criteria. During the admissions process, you will submit your official transcripts from all prior colleges, and the registrar will do an evaluation to determine transfer credit. If you have already completed the GE credits beforehand, you could complete the program in as few as 8 months. Have you wondered what you should specialize in? In the BSN program, you can dive into different programs to see what you like. You will foray into gerontology, critical care, psychiatrics, disease management, and many other fields. This gives you the opportunity to experience different fields within nursing to help determine what specialty fits your interests and unique talents. In addition, a deeper understanding of each of these fields will better prepare nurses to manage complex patients with multiple needs. “There are many things explored more in detail in a BSN program that provide an increased knowledge base and foundation into health care. There are also many areas that are introduced to instill critical thinking at a whole new level,” said Dr. Haw. We know policy sounds boring, but a foundational knowledge of ethics and policy can keep you from losing your job, and help you make decisions. 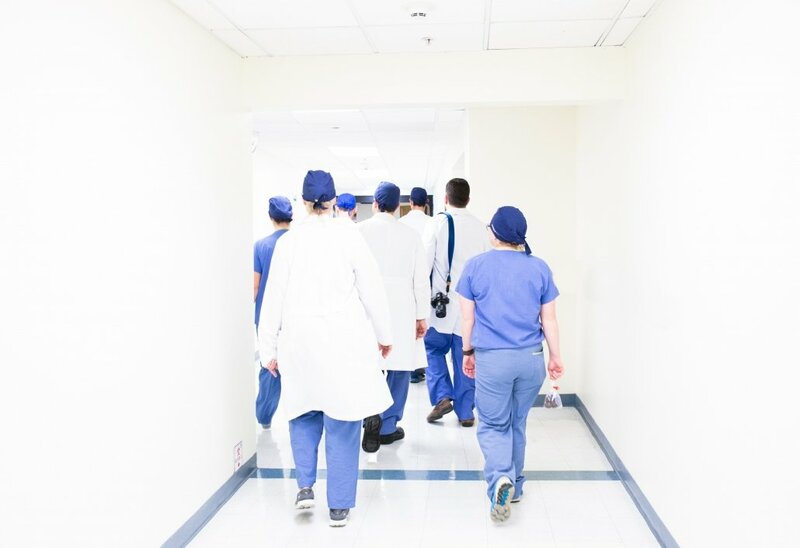 Nurses who are BSN-prepared are often selected for leadership positions, and as a leader, being keen on ethics and adherence to hospital policies are a must. As a nurse, you already know the importance of understanding ethics and policy. To help get you to that next level, a deeper understanding is crucial and that is what a BSN program helps you do. We can’t say it any better than the course description does: “Research in nursing is important to promote, maintain, and restore health, and to ensure quality and safety in nursing practice.” These courses promote scholarship in nursing by showing learners how scientific nursing knowledge is gained. As a leader in health care in your community, no one knows the community’s health concerns more than you. 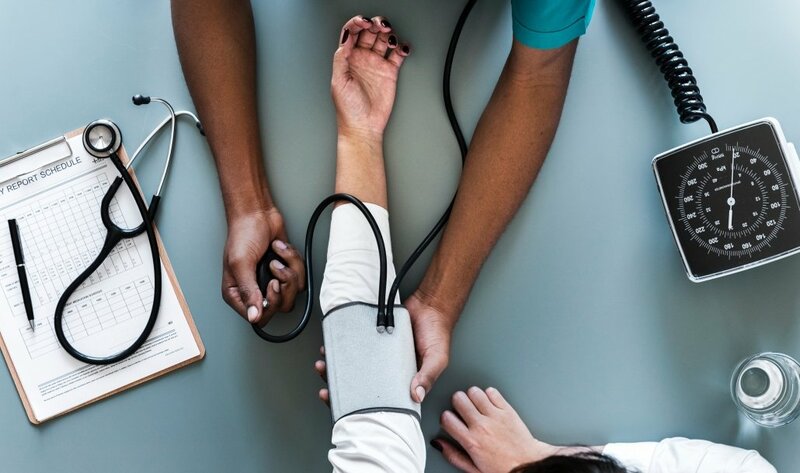 The RN-to-BSN Program is there to act as a stepping stone and supporter to help you determine what health issues are prevalent while providing you the resources and education to take action. Many of the courses focus on nursing from a community health perspective instead of from a patient-to-patient perspective. Nurses in Nightingale College’s BSN Program will be trained to think about health care as it affects societies and vulnerable populations, and understand the unique circumstances in a multicultural society. As part of Nightingale’s BSN program you will complete a community health project to improve the health in your community. Nightingale’s RN-to-BSN Program is unique and is designed to help you stand out from your nurse colleagues as a leader. The Capstone Leadership Project is a program-long course that you start in your first semester and wrap up in your last. However, it is not like other capstone projects in nursing schools; Nightingale’s is employer focused. We want to position you as a problem solver, a leader, and critical thinker. The project is not to be taken lightly as it requires you to engage with your employer to uncover solutions to problems that hinder patient care. Are you ready to become better with a BSN? We are ready to help you! Take the first step in securing your nursing future by visiting www.nightingale.edu/bsn. Are you an aspiring nurse or a full-time registered nurse who wants to take on new responsibilities and improve your outcomes? If you feel like going back to school for a traditional course would take too much of your time, perhaps you should consider an online nursing program. Nowadays, many nursing colleges include online courses or distance learning components in their curriculum, which aim to support nurses in completing their education without missing out on valuable clinical hours. If you want to earn your BSN degree and still be able to work full-time in the hospital, consider an RN-to-BSN online (bridge) program. Having doubts? We’re here to clear the air and tell you everything you need to know about online nursing programs. Today there are numerous options for choosing a meaningful career in nursing. Before you decide which path to follow, it’s important to consider your strengths and lifestyle as well as your desired income, so that you can pick the best job for you. Many of the coveted nursing jobs require formal education and experience beyond the basics, i.e. an associate degree or bachelor of science in nursing as well as a nursing license and solid transferable skills. In many careers, a certification recognizing the specialty is not required by law, but it may be used by employers as a measure of competence. Read on to find out which nursing jobs are available to you and what you can do to improve your chances at a successful nursing career. If you’re passionate about helping others, nursing has probably been one of your top career choice. 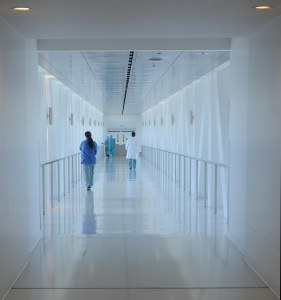 There are many paths you can pursue to become a nurse. The most famous two are through an associate degree in nursing program or a bachelor’s of science in nursing program. Because both ADN and BSN graduates become registered nurses, it’s easy to get confused which is the better option to pursue. Let’s find out what the differences are between the two-degree types and explore which degree may be best for your needs and career goals. We’ll explore the advantages and differences of both ADN and BSN degrees, so you can be a step closer to finding your answer!